If you're baby is your favorite little monster this is the perfect burp cloth for them! This Little Monsters Burp Cloth is the perfect burp rag for your favorite little monster! 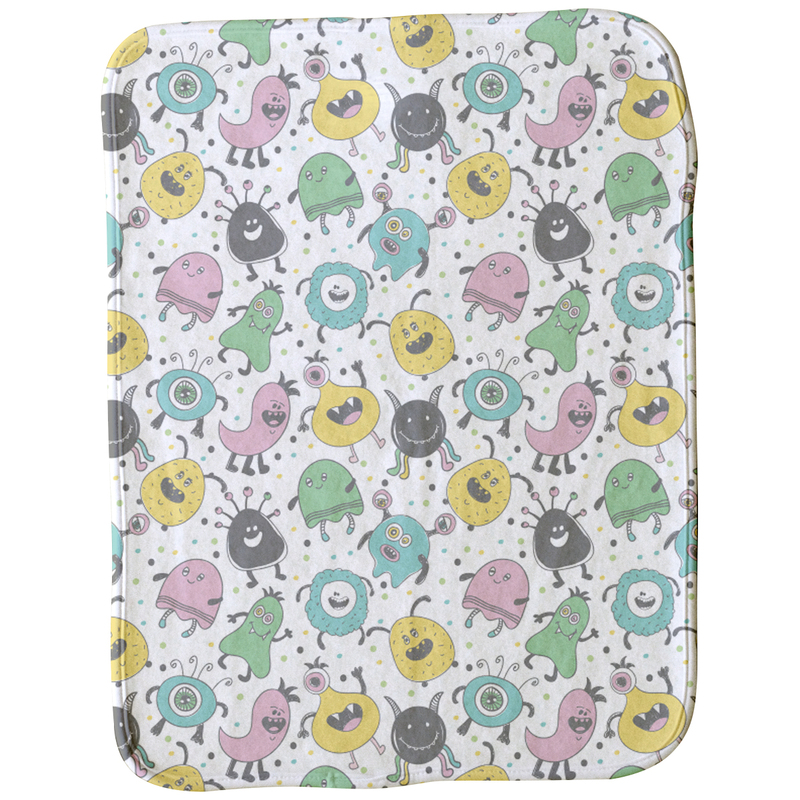 With an assortment of laughing and fun monsters this Little Monsters Burp Cloth is sure to be envied by all other babies. Not to mention how soft it is! Made of a super soft fleece that is gentle on baby's skin and machine washable, make sure that you order the Little Monsters Bib too! At approximately 12" x 16", it'll be sure to protect you from any upset tummies. Our products are made in the USA and most orders ship next business day so order today!